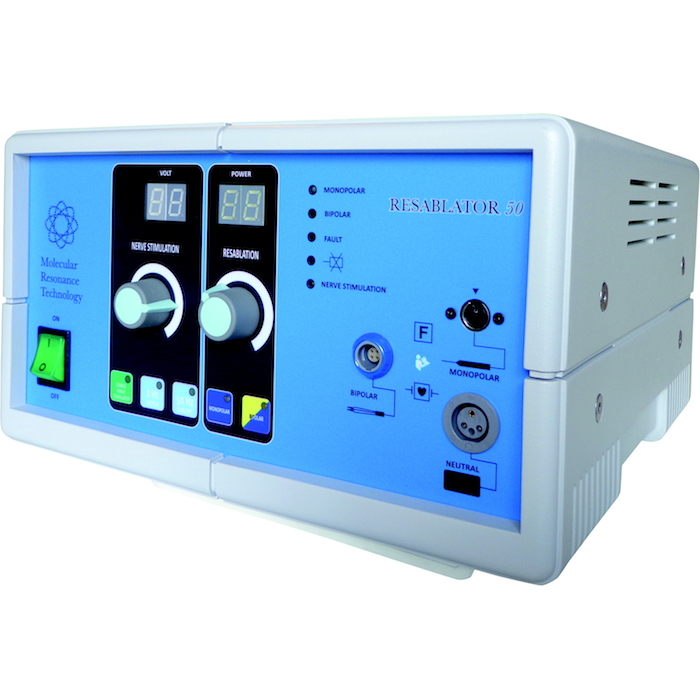 Resablator50 provides the ideal energy to break the molecular bonds of pathological structures in the epidural space, without causing any thermal damage or new scar tissue. Every time that energy is transferred to a system, most of that energy turns into heat and dissipates, causing an increase in the temperature of the treated tissue. The challenge consisted in devising a system that could transfer energy to biological tissues, so as to carry out their ablation without increasing the temperature of the surrounding tissue above 50°C (below this temperature, cells remain viable and undamaged). 1 Quantum Molecular Sesonance® – Telea Electronic Engineering S.r.l. 2 Produced by Telea Electronic Engineering S.r.l. for AMS Group S.r.l. soc. unip.